Working out helps you to feel alive, growing muscle and tending to the overall health of your organs and your brain. However, it is important to take rest days in between workouts. The problem for most people is the feeling of guilt in between their workout days, leaving them feeling as though they are not trying hard enough or they are not putting in enough effort to reach their fitness potential or their body weight goal. These feelings of guilt and laziness can be overwhelming, leading to many people simply pumping iron every day and never allowing the body to recover from the hard work put in during previous days’ workouts. But why do you need to take rest days? 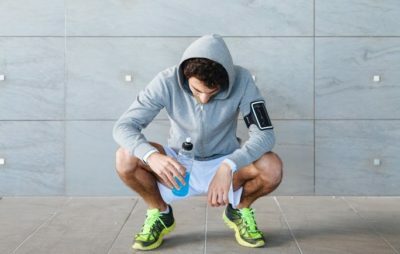 How does it help the body to recover when surely exercise is the thing that makes the body healthy in the first place? One of the great things about working out is how the body changes, experiences higher levels of energy and is able to build endurance. However, exercise is stressful on the body as it asks the muscles to do extra work and the heart to work overtime to compensate for this extra work being put in. Due to this, the body needs to be able to rest to adapt to that change in pace. By taking a rest day, it enables the body to reorganize the way it works to compensate for the growth. For example, exercise opens the blood vessels, helping more blood to pump through. The body needs to take time to understand how this works, in order to adapt to that change in blood flow and provide the supply. Furthermore, in order to improve further and to become even more efficient, the body needs further stress, which means that if you fail to give the body time to deal with the initial stressors, eventually it breaks down leading to high risk of injury. When exercising, the muscles deplete through wear and tear. The strain on the muscles enables old tissue to breakdown and calcified capillaries in the body to break. This may sound bad, but it is great for the body as it induces replenishment of these broken areas. However, if you continue to exercise at the same rate. The body never has time to replenish these broken tissues and blood vessels, and will continue to break more. By giving yourself a rest day, you give yourself time to repair those damages, replacing the previous old and defunct cells and vessels with new, better functioning replacements. When we exercise, it is no secret we use up energy. After a trip to the gym, you are often exhausted in every cell of your body. This is great for pushing the body to the limits, however the body needs time to replace those stores. This is in the form of protein, glucose, and water. Rest days should encompass a healthy diet, helping to replace the energy and fluid you lose by working out, helping your body to get ready for the gym session you are planning to beat it with the next day! 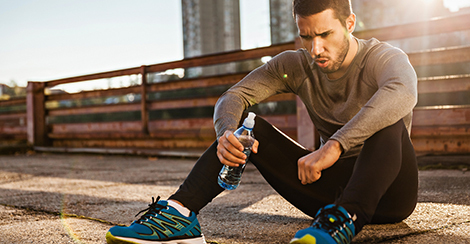 Bear in mind that short-term recovery refers to the hours after a workout where you should be supplying your body with enough water and a solid, healthy meal to help replenish the stores, while also getting enough sleep. Long -term recovery refers to scheduled days or weeks that allow the body to have a real break from the stress it goes through, allowing it to adapt.